Whether you’re a long-term resident of Calgary, or if you’re new to the area, this website is designed to help you easily search for Calgary real estate. Explore the cities various neighbourhoods and view our featured listings. Want to know what your home's value is? In today's market, it's more important than ever to price your home right. Use our home evaluation tool and we will compare your home to active Calgary real estate listings. Purchasing a house is never easy. That's why you need an accredited REALTOR® with local knowledge and the experience to guide you. Team Ken Richter has offered premium service and quality client care for over 30 years. When it comes to listing your Calgary home for sale and investing in Calgary real estate, you want to know you're working with the best. 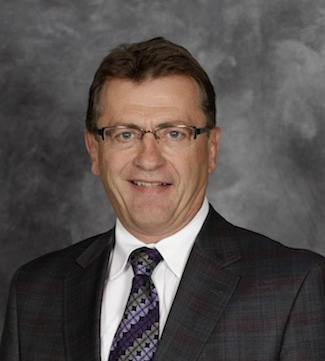 Ken Richter has been one of the finest Calgary real estate agents for 30+ years. Born and raised within the city, Ken has an intimate knowledge of the local area. Whether you're new to the area or you've lived in the city for decades, Ken can help you find a home in a neighbourhood that suits your lifestyle. If you're looking to be close to the vibrancy of the inner city, your child's school, or within walking distance to your work, Team Ken Richter has the local knowedge and the experience to make your real estate dreams a reality. For a Calgary homebuying or homeselling experience that's simple, contact Team Ken Richter. They have a track record of delivering top results. Learn more about what past clients have to say on our Testimonials page or take a look at our blog for regular updates on the Calgary real estate market and home renovation ideas.